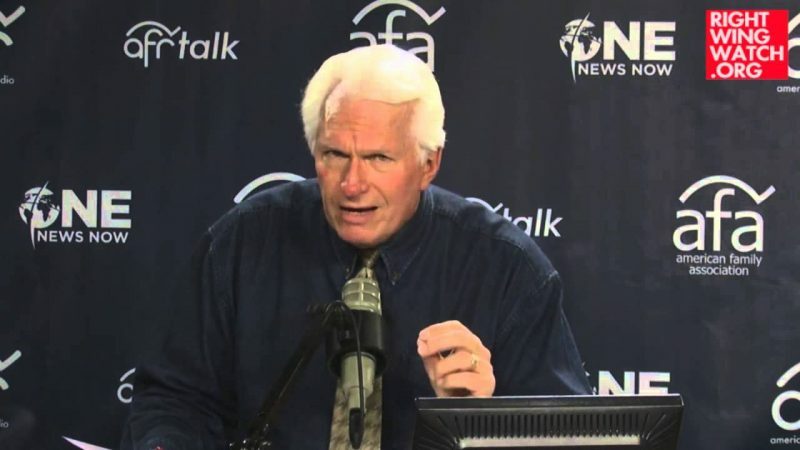 As we have noted several times before, American Family Radio’s Bryan Fischer holds an utterly incoherent view of the First Amendment that allows him to at times insist that it only applies to Congress while, at other times, insisting that it applies to all sorts of other government entities, depending solely on which side of an issue he supports. 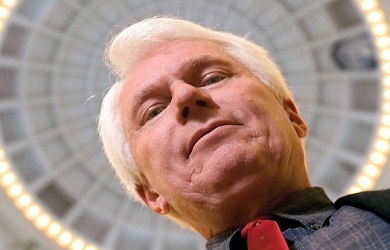 Whenever Fischer wants to defend some possible violation of the Establishment Clause, he insists that the First Amendment only applies to Congress, but when he wants to complain about what he sees as a possible violation of the Free Exercise Clause, he insists that the First Amendment applies to all sorts of entities. Pensacola couldn’t violate the First Amendment even if it tried. Now the First Amendment has never been amended. It still means exactly what it meant when the Founders wrote it. Only Congress can violate the First Amendment. It is constitutionally impossible for cities like Pensacola to violate the First Amendment since it wasn’t even written to restrain them. Fischer’s view regarding the reach of the First Amendment in this case, of course, directly contradicts the view he espoused in response to the case of Kelvin Cochran, who was fired from his position as fire chief in Atlanta a few years ago for distributing to employees a self-published book he had written that included attacks on homosexuality. In this process, Cochran has been stripped of every right that is cherished and protected under the First Amendment. His freedom of religion, gone. His freedom of speech, gone. His freedom of the press, gone. His freedom of association, gone. When I say that homosexuality is the enemy of freedom, the First Amendment, and virtually the entire Constitution, this is what I’m talking about. Cochran is considering legal action, as well he should. Either the First Amendment means what it says, in which case Cochran has an unassailable legal argument, or the Constitution doesn’t mean anything at all.